Home > Products > Wardrobes > Medium Size Wardrobe with Easily to Install Within One Minute. High Quality Photo - Medium Size Wardrobe with Easily to Install Within One Minute. 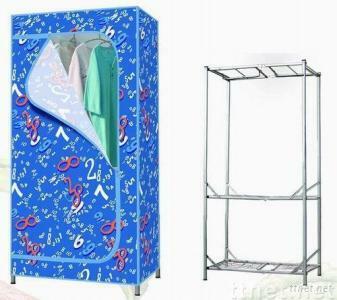 Medium Size Wardrobe with Easily to Install Within One Minute. 1).Easy to install within one minute to save the installation time and solve the installation trouble. 2).Thicken steel tube to ensure extremely hard and long life time. 3).A broad range of storage space can stock many products (like clothes, toys, shoes etc.) 4).Made of high-grade&tailor-made material to ensure durability and not easy to fade.